Artist Elizabeth Phelps Meyer will culminate her exhibition “Metanoia” with a bowl offering to benefit sacred sites in Nepal. 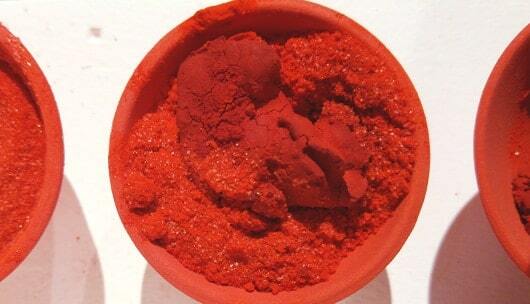 Meyer will offer to the public the 1,080 red ceramic bowls featured in the exhibition. Participants in this exchange will have the opportunity to make a donation toward the rebuilding of the Ky-Nying Shedrub Ling and Nagi Gompa monastery and nunnery, located in the Kathmandu valley of Nepal. The creation of the bowls was an accumulative meditative practice for Meyer – part devotion and part “social sculpture.” The decision to give the bowls away after the exhibition is a “reminder of the fragility of our world(s), and [an] opportunity for people to practice generosity themselves,” says Meyer. This event is free and open to the public. Meyer will be offering bowls from 2-9 PM on January 16th, the final day of her exhibition. One bowl will be offered per person attending the exchange.